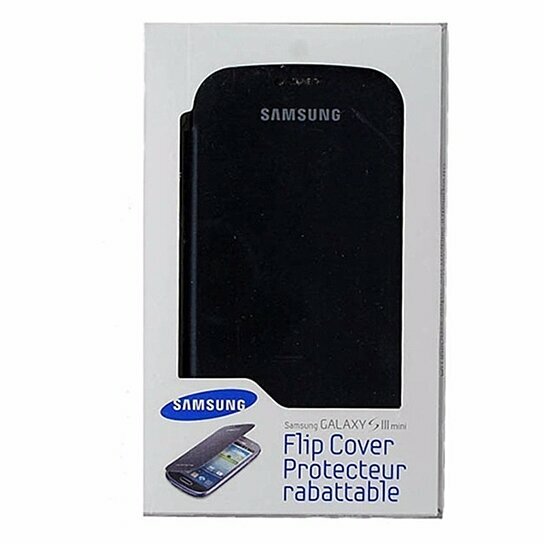 Samsung brand Flip Cover Folio Case for Samsung Galaxy S3 Mini. Pebble Blue finish. Simply remove your phones battery cover and snap on the flip cover in its place.